We have some food traditions around the house. 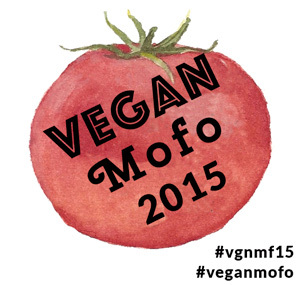 I think the most anticipated one is Friday Vegan Nacho Night! Matt says it is the right way to kick off the weekend, I just like this quick, easy and delicious meal! In a large frying pan heat a bit of olive oil - enough to lightly coat the pan on medium heat. Add meatless grounds, cook for a few minutes. Open & drain the Rotel and black beans. Add those and Sriracha to the pan, mix and cook on a medium low heat for about 5-6 minutes. 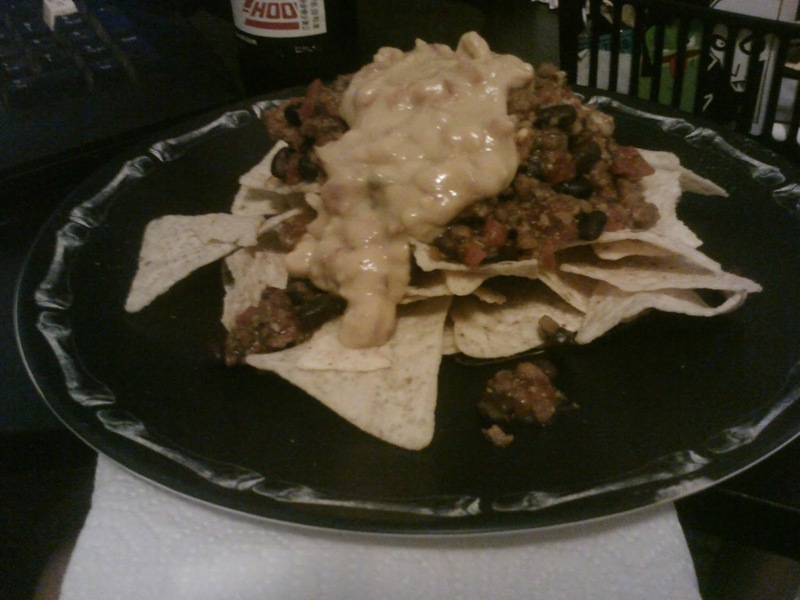 Place a bed of nachos on a plate, spoon on pan mixture and top with toppings of choice! As you can tell I have made a few changes from my original recipe found here. As with most dishes it only gets better after experimenting. This meal was one of my original meals I started cooking. It is now a kitchen staple and something that I can't wait to make for tonight dinner! Happy Friday! Rock the weekend! We think alike, we'll be tucking into a vegetarian version of Nacho's in a wee while, just as soon as my husband brings home the bottle of red. You should link this recipe to Flavours of Mexico (see my blog for link), I've just submitted an Enchillada recipe. I love nachos! These look great.